A hot low pressure system centered in China has delivered sweltering weather to Vietnam’s northern and central regions over the last few days. According to the National Hydro Meteorological Forecast Center, temperatures in the two regions ranged from 36-39 Celsius degrees, with the mercury hitting 40 degrees in some places. In the northern plains and central coastal regions, the condition was worse with hot winds from the west sending temperatures soaring, and some areas reaching 45-50 degrees. The hot and dry weather would continue over the regions on Friday with temperatures rising by 1-1.5 degrees, the center said, adding the hot spell could last. The hot spell is forecast to last another three or four days at least. Some areas in the southern region and Ho Chi Minh City would also see scorching weather with temperatures hovering around 35-37 degrees Celsius, weather experts said. 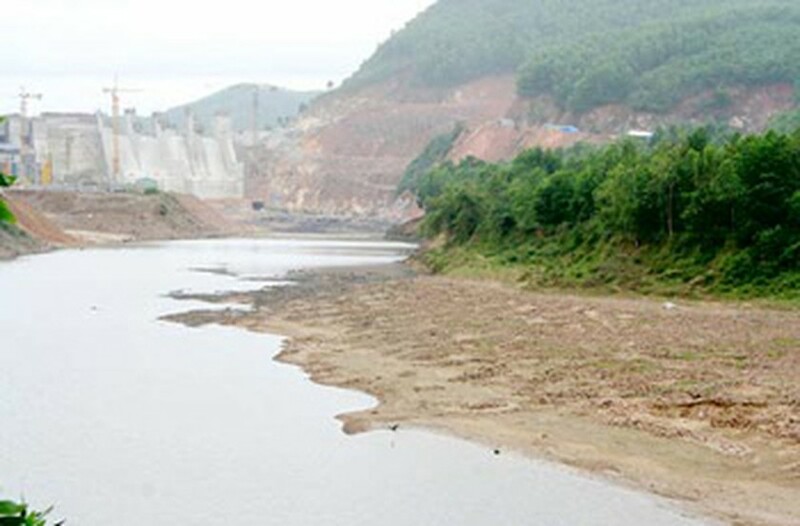 To ensure irrigation water for agricultural production, Thua Thien-Hue Province’s Agriculture and Rural Development Department has asked the Huong Dien Hydropower Plant, located in the upper reaches of Bo River, to release water for the river’s lower sections since the beginning of May. However, the company is yet to do that, putting 7,000 hectares of summer-autumn rice crops in Phong Dien, Huong Tra and Quang Dien districts at risk of withering and dying. In the Mekong Delta Province of Bac Lieu, the last few days has seen a little rain since the season began. 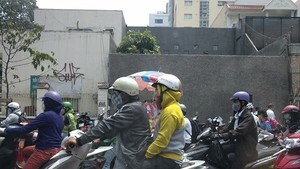 While the rainfall has insufficient to deal with the drought, the weather has been even hotter after the rains. In related news, a severe forest fire raged Thursday in Hoa Vang District, Da Nang City. The weather created advantageous conditions for the fire to spread rapidly. Because the flames were too far from water sources, the army had to try and put the fire out with tree branches. As of 6pm Thursday, the fire was still raging. Officials are concerned that the fire is located near warehouses maintained by the military, an explosives warehouse of Vietnam Coal Corporation and a 500kv power transmission cable runs through the area.